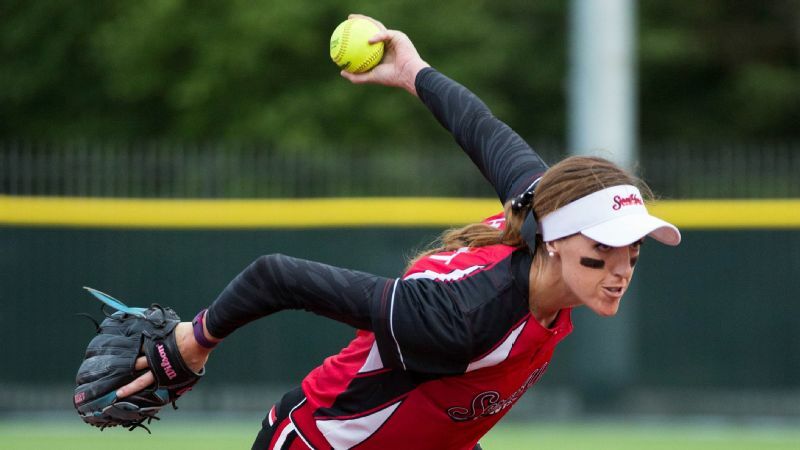 Some things have changed, but Monica Abbott's fearsome pitching has remained the same since she signed a $1 million contract with the ScrapYard Dawgs of National Pro Fastpitch. 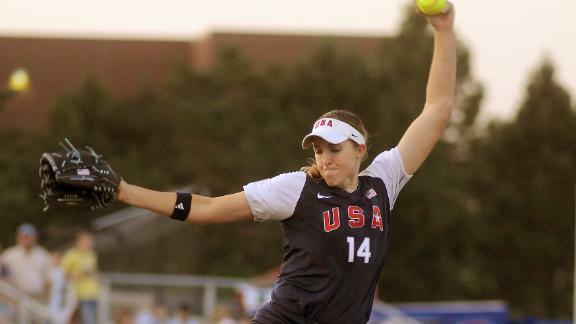 It is not as if Monica Abbott blended in with the crowd before she signed her groundbreaking $1 million contract. While such compensation put an appropriately specific figure on it, her left arm has been uniquely invaluable for quite some time. 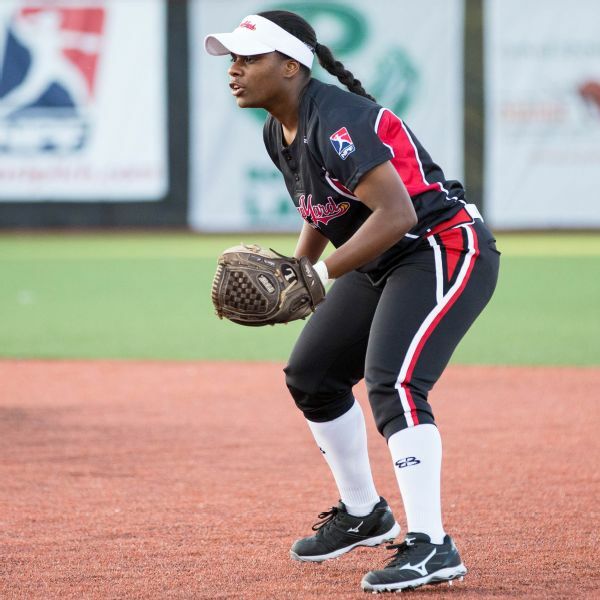 Nerissa Myers, Abbott's teammate with the Scrap Yard Dawgs, a Houston-area expansion team in National Pro Fastpitch, knows well the special kind of misery awaiting opposing batters. Facing Abbott for the first time, something Myers did two years ago in an otherwise nondescript regular-season game, brought on the kind of nervousness she compared to playing in the World Series. 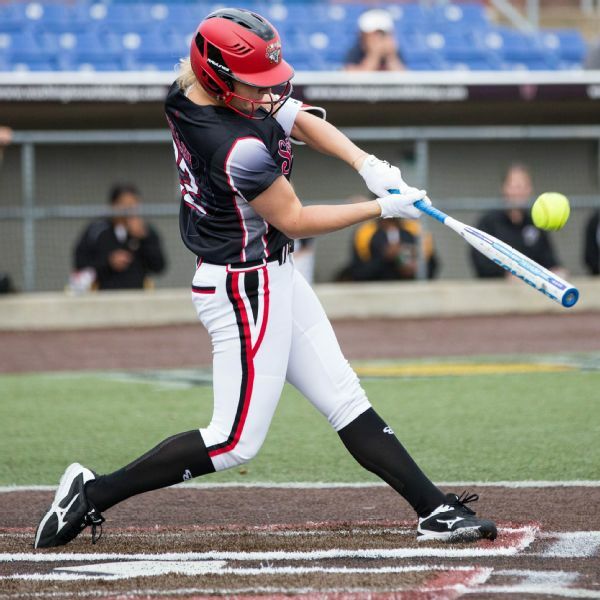 "In my head, I'm thinking I have to stay short [with her swing], but nothing can really prepare you for actually getting in the box," Myers recalled of the 2014 game between her Akron Racers and Abbott's Chicago Bandits. "I got in there and she threw the first pitch, and in my head I'm like 'Oh crap.' I was thinking about how I was going to play this off and pretend like I'm super confident when I didn't even see the ball come out of her hand." It wasn't Abbott's paycheck that had Myers sweating. Rookie Taylore Fuller has had the honor of being behind the plate for most of Monica Abbott's starts. That same old Abbott is exactly who her new employer hopes it signed. The landmark contract isn't akin to a venture capitalist investing money to develop an idea. What the new franchise invested in were the services of the best pitcher in the world, established excellence able to make instant contenders of a roster with more rookies than veterans. Rookies like Taylore Fuller. Just weeks removed from playing at the University of Florida, Fuller has been behind the plate for the majority of Abbott's innings for the Scrap Yard Dawgs. And if hitting against Abbott is the most nerve-racking experience in softball, catching her might be next on the list. "The other night I told her I thought she hit 80 [miles per hour] because it felt so hard," Fuller said. 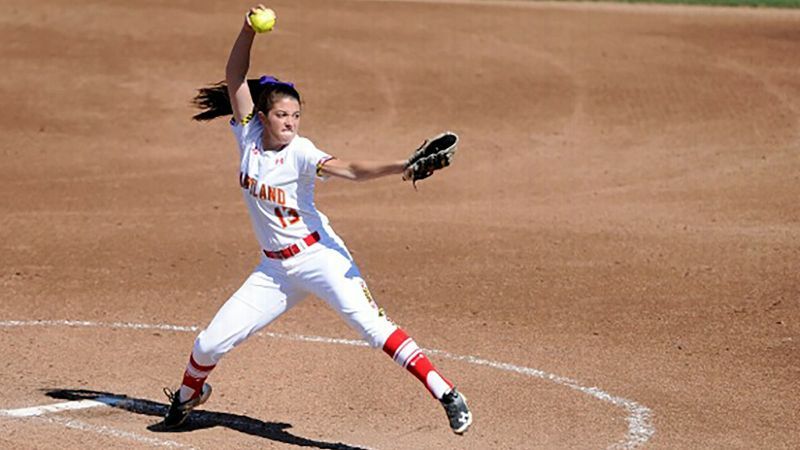 "What amazes me the most about her is her control on her fastball. She can pinpoint that pitch anywhere she wants, and it still feels like it's coming at you 80 miles an hour." So some things never change. Abbott will be Abbott. Scrap Yard began the last week of June in third place and with a winning record in the six-team league. That success contrasts with the fate of most of the league's new franchises in recent seasons. It was celebrated a season ago when the first-year Dallas Charge slipped into the playoffs with a 17-33 record. But after a rough start this season without Abbott, who was completing professional obligations in Japan, Scrap Yard is on a roll. Not coincidentally, Abbott began the week with a 5-1 record, the league's second-best ERA and nearly twice as many strikeouts as any peer. "The contract that I received, part of it was based on what I had already done," Abbott said. "And then, obviously, an expectation of what I will continue to do over the course of my career. So I'm trying to remember that and just separate regular business from softball business." Yet the familiarly invaluable ace is inescapably now also the million-dollar arm. That is change. For all that is the same, pitches speeding plate-ward and batters seeking solace in even making contact, this is Abbott's summer in a manner unlike any summer before. It is her league. In addition to a new uniform, new city and new teammates, she returned to a new role in the story of softball. And not just as the daughter who, while scarce free time has allowed for little in the way of splurges, reached for the check when she and her parents went out for a celebratory dinner. "It definitely felt like I was starting something new," Abbott said of her return stateside. "I was so grateful to play for the Bandits for so long, and I have so many great memories there of such a great organization to play with, so I felt like I was kind of embarking on a new adventure a little bit. It was a little bit nerve-racking, a little bit of you don't know what's going to happen or what to expect. "But at the same time, I felt like I was being led in the right direction. I'm trying to create something bigger for other girls in the league and for other women, whether they're in softball or in another sport or just in the office." Nerissa Myers says she felt relief for the players to come after learning about Monica Abbott's groundbreaking contract. The middle chapters in that story, let alone its resolution, are years from being written. Only months have passed since she signed the uniquely structured contract that will pay her a million dollars over five seasons in a league in which teams operate under a $150,000 annual salary cap. Only weeks have passed since she first took the field for a franchise that hopes not to follow in the footsteps of the Carolina Diamonds, New York-New Jersey Comets, Rockford Thunder, Washington Glory and other franchises now defunct or relocated and rebranded. It isn't time yet to predict how the story ends, but there is definitely a sense of a distinct beginning. As much as batters are settling in for another summer of trying to solve Abbott, she is also a surrogate for every player in the league. If the league can support the investment in her skills, what promise might it hold for others? That was part of what came to mind when Myers first heard about the contract. "We're all just super excited. Of course you want to be like 'How'd you do that?' But it was just general excitement that the people coming up after us are going to be able to make a decent amount of money and play this sport without having two or three other jobs on the side." How to get from here to there is, not unlike the Dawgs themselves, a work in progress. Abbott described an ongoing process of figuring out how best to use the bully pulpit, how to pick her spots to speak up with the same precision as she picks the spots to place her pitches. She brought up salary transparency as an issue of note. Her contract was unique not just in its size but in its public specificity. Unlike Major League Baseball, NPF salaries aren't readily available. If players had access to a clear delineation of market value, Abbott suggested, it might better empower them in negotiations. A field, a sport, a dad. Forever. At the other end of the business spectrum, Fuller almost couldn't believe it when she held her first paycheck in her hands recently, more amazed that she was being paid to play softball than conscious of an amount that rarely adds up to more than four figures for a summer of work. The hard part comes when, as in the case of a four-year veteran like Myers, a person wants to keep playing beyond that first summer. For now, both Fuller and Myers said the contract is rarely a topic of conversation with Abbott, the ground still too new to feel comfortable teasing her about it yet and more serious questions still unformed. Fuller was initially unsure at first how to act around Abbott, intimidated by the intensity and detail that the pitcher brings to the job, every pitch to every batter scouted and planned. But the intimidation wasn't born of a difference in salary. 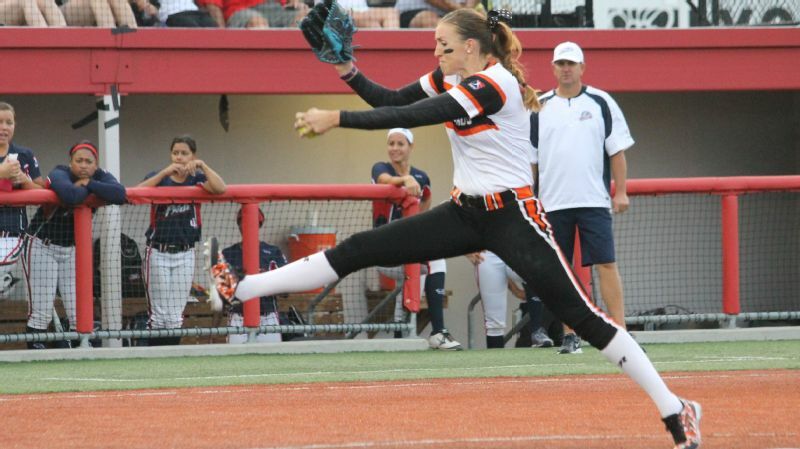 It was born of having watched Abbott pitch for a decade, first at Tennessee and then with the U.S. national team and the Bandits. "Then you get to know her as a person and she's just another teammate," Fuller said. "She's awesome as a person. She's really nice. You would think she's a 13-year-old girl, honestly, because she gets along with everyone so well. She's ditzy, she's clumsy and she's hilarious. There's no barrier there once you get to know her, and I think she makes sure of that. She doesn't want that barrier there." She wants to be the same old Abbott, even as a new summer begins to reshape what that means.